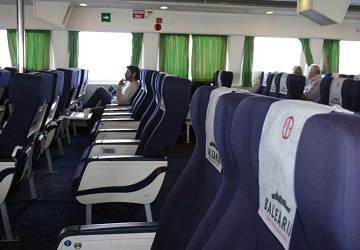 The Federico García Lorca is a super-fast modern ferry capable of carrying up to 1000 passengers and features numerous facilities including a lounge with seats, baby changing station, Bar-café, children’s play area, luggage lockers, disabled access, audio visual entertainment and a shop. 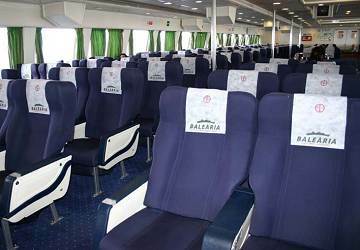 The Garcia Lorca ferry features 2 reserved seating areas – Sirena which is a standard seating area and Neptune which is a private seating area. 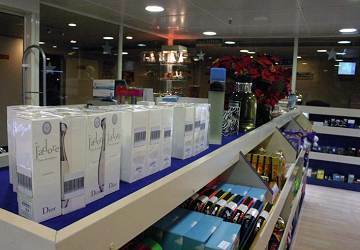 The Garcia Lorca features an onboard shop where you can buy a range of cosmetics, perfumes, sweets and gifts. 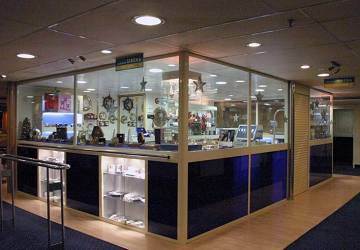 The García Lorca offers an Ipad rental service (approximately €2 for 2 hours; €5 for 4 hours). Foot passengers can store their luggage in lockers which are accessible throughout the crossing. 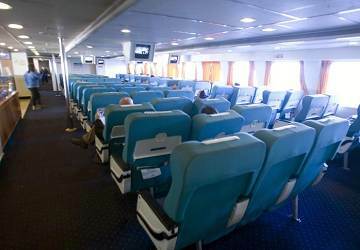 Children are well catered for onboard and there's a dedicated play area to keep them entertained during the trip. You'll also find baby changing stations and high chairs in the restaurant. 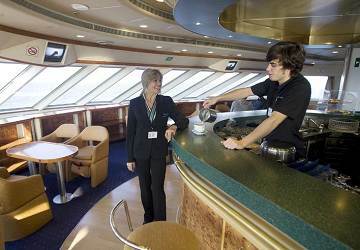 Please Note: Whilst we have taken great care in making our Garcia Lorca guide as accurate as possible, onboard facilities, services and entertainment may vary depending on the date and time of year that you travel, facilities mentioned may change without notification and ferry companies reserve the right to operate vessels other than those mentioned at time of booking without prior notification. "Palma by ferry to Denia "
Very punctual from and arrival in Denia, everything perfect. Satisfied with everything, nice journey. Perfect crossing without any complaint. "Ferry from Denia to Ibiza"
We took the ferry from Denia to Ibiza. It left and arrived on time. Service was very good. I wish there had been some outside space where you could watch the journey but that would be my only negative comment. Would thoroughly recommend. 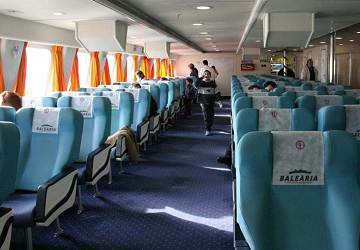 "Short trip from Palma - class alternative "
Ferry drove exactly on time, the staff was very friendly and attentive, the ship was clean and the facilities adequate, the food could be supplemented by fresh fruits, unfortunately, the loud sound of the television in the 1st class was too bright, would be here head-sets appropriate. The ferry can be seen at any time recommend. Fast ferry to Ibiza, fast processing, Exit in Ibiza went on for an hour because only a narrow gangway had to be suspended. The walkways were not yet in operation. I really enjoyed it, it was a great trip from Palma to Ibiza. 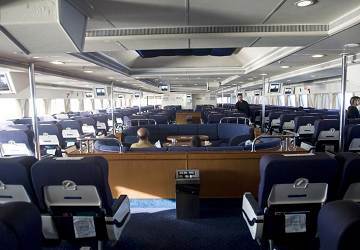 "Ferry Denia - Ibiza "
Was a good thing., The staff helpful, comfortable armchairs. On time. We had a very efficient crossing. 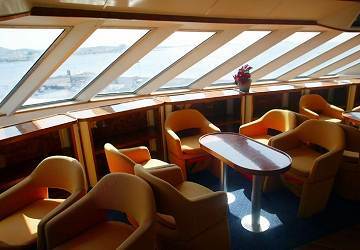 We where in the Neptune cabin, and there was plenty of choice of seats. The only downside was a lack of a lift both up/down, which makes handling large luggage difficult. Additionally, and this is no fault of anyone but the parents, there was an uncontrollable child running amock for 2 hours. Otherwise good value for money. "The Palma de Mallorca trip "
The trip was good, with nice service. I will recommend it. This summer we travelled on the route Denia-Ibiza-Formentera and return. Both, on the phone and at the check-in, staff has been helpful. On board, the ferry was clean. All ferries were on time. I would recommend it. Why is it that some parents cannot control their children or even worse cause them to make a nuisance of themselves by tickling them or playing with them so that they scream. Surely the staff should have some say in the matter. Apart from the out of control children the trip was first class. "Denia to Ibiza and back"
To Ibiza: I was charged with extra 150 EUR because I had a jetbag on the top of the car. Aircon did not work on board, so it was hot and no air inside. The loading unloading of the car was smooth and quick, the trip itself was nice. 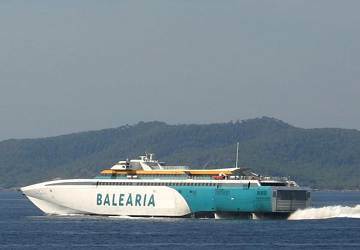 To Denia: Ferry was late more than half an hour. 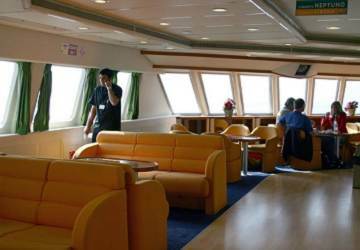 "Assesment to our ferry voyage"
Everything was perfect thanks a lot.